Orange Glad Sweet Box is a gourmet dessert subscription box. It costs $15 a month plus shipping, and they also have a marketplace where you can buy gourmet sweets and gift boxes. They kindly sent me this box to review. I'm also using affiliate links throughout this post, but the opinions are my own and I wasn't paid for my opinions. 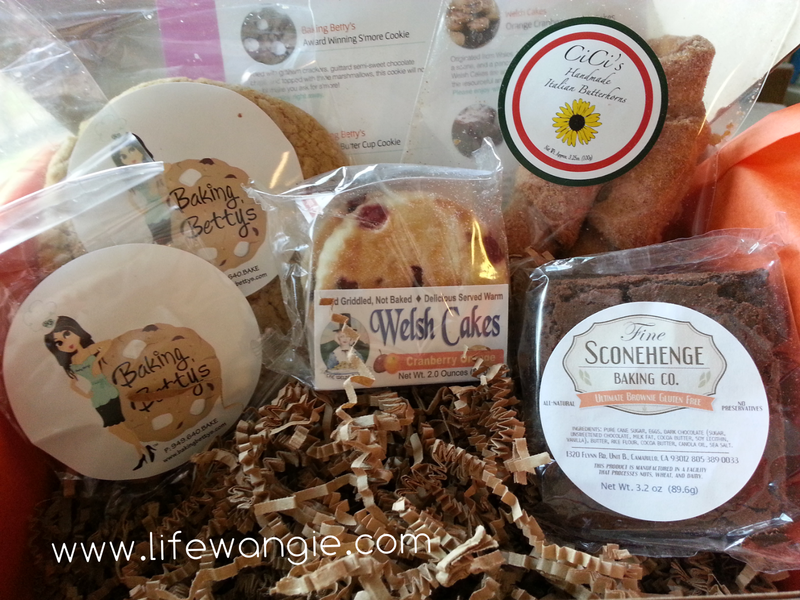 This box contained five items: Two cookies from Baking Betty's, some Italian Butterhorns from Cici's Italian Butterhorns, Orange Cranberry Welsh Cakes, and finally, a gluten-free brownie from Fine Sconehenge Baking Company. First off, the cookies were cookies. They were delicious, but at $3 per item, I don't know if they were all that! But I can't really complain either because they were super tasty. The other three items were knockouts, though! One thing I love about subscription boxes is discovering new things. In fact, last time I did an Orange Glad review, I discovered a type of cookie that has since become one of my favorites, a Laceys cookie that I later discovered they sold at World Market. So I was really excited to try out these items that were new to me. The Cici's Butterhorns were tender and yummy. The Welsh Cakes seemed to me to be kind of like a crumpet and would be great in the morning with coffee! I think the gluten-free brownie was my favorite thing in this box. I am not gluten-free, but I know a lot of people are, and I have heard the issues they have with finding treats that are just as good as the traditional kind. Eating this brownie was no different for me than eating any other normal brownie. In fact, I split it in half to share with hubby and it was so rich and yummy that I didn't even begrudge him his half. I don't see just the brownies for sale on the Orange Glad site, but I do see them on the Fine Sconehenge site. If you are gluten-free, they are definitely worth a try! Overall, I was very pleased with this box! 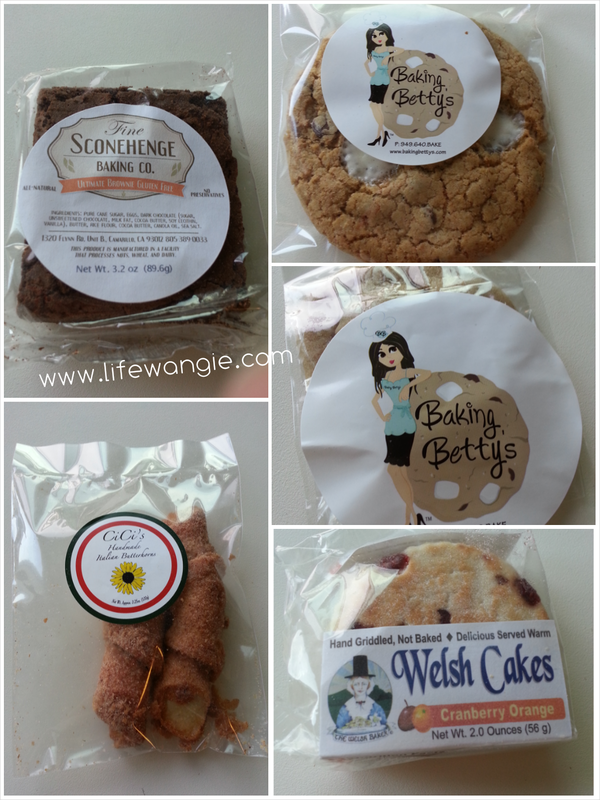 Last time I reviewed Orange Glad Sweet Box, I was kind of hesitant because the price per item is a bit high, but then I posted the review and all my online friends were like "YUM, NOM NOM, send me treats!" So I think I am just a bit spoiled living in an urban area within walking distance of lots of gourmet yummy treats. I feel like this would be a great gift idea as well. This is definitely yummy looking... now I need a sweet treat.